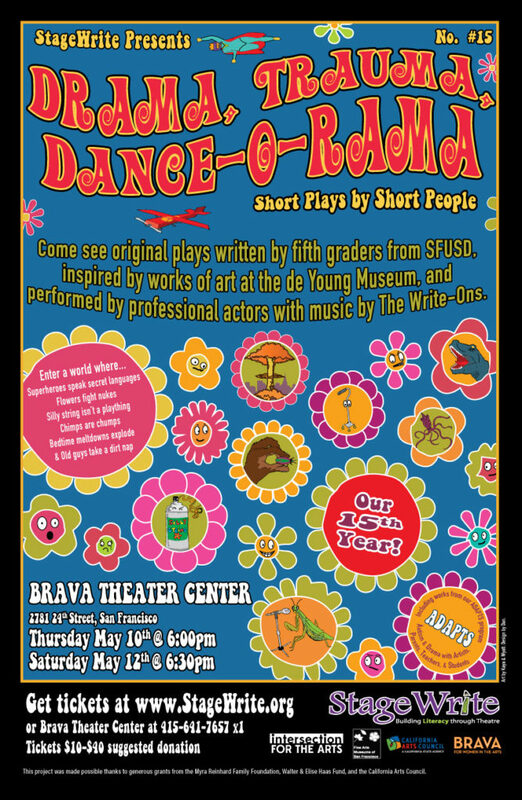 Come see original plays written by fifth graders from SFUSD, inspired by works of art at the de Young Museum, and performed by professional actors with music by The Write-Ons. Wine reception before and after the show on Saturday in honor of our 15th anniversary! We are proud to announce that this year’s show will include works from our ADAPTS program (Autism & Drama with Artists, Parents, Teachers, & Students) at Grattan Elementary School! Proceeds will support StageWrite literacy through theatre programs in San Francisco elementary schools.